Last year after some home improvements, I set out to buy some new boards to build the walls of my Succah (the temporary hut that Jews live in for seven days during the Festival of Sukkot). Not only had my Succah area doubled but, due to the way the construction had been done, the original boards that I had always used in the past were now too tall. So off I went to look for some new ones. Living in Jerusalem there was no problem finding cheap Succah boards for sale. In fact, the area that I ended up in seemed to consist of one carpentry shop after another, each storefront graced with a huge pile of boards ready to be carted away and built into someones Succah. And that is when the trouble began. Every board was exactly the same height. One of the reasons that they were so cheap is because they were all of uniform dimensions, mass produced by a machine. Each one cut in exactly the same way and completely indistinguishable from the next. Which meant that for my needs they were all too tall. At this point it really didnt occur to me that this might end up being a particularly difficult exercise. I approached one of the stores and asked the owner if he could cut boards for me according to my specifications. Nothing seemed to be a problem so I excitedly started explaining to him how many boards I needed and how tall they had to be. At first I rather naively thought that my boards, being about a third shorter than the ones being sold, were going to cost a third less than the going rate for the standard size, so you can imagine my amazement when the storekeeper quoted me a price that was almost double the regular price! Not wanting to pay any more than I had to I asked around in some of the other stores and, more or less, I got the same answer everywhere. It transpires that in the mysterious world of Succah boards less is actually more! Not having any real alternative, I went back to the first store and made my order. A few days later I returned to collect my newly shortened boards, bring them home and begin the putting them all together. It was, in my humble opinion, a very beautiful and spacious Succah. We enjoyed every moment that we spent in it. We ate all our meals in it, learned Torah in it, had lots of guests in it and we slept in it each night. My children especially enjoyed lying down on their camp beds in the darkness looking at the twinkling stars that peeked through the "holey" covering serving as a roof. Late one night while I was sitting in the Succah it suddenly occurred to me that sometimes the world of Mitzvot (Commandments) and the world of Succah boards coincide with each other. We are commanded every year to leave our permanent homes and spend a week in a temporary abode. What is the reason? Among other things it is to instill in us an appreciation that ultimately almost everything in this physical world of ours is transient. That the only commodies that have eternal value are G-ds commandments. We pick ourselves up and leave the comfort and the safety of our homes to spend a week living that concept in its entirety so that when we finally move back into our homes at the end of Sukkot we are supposed to have absorbed that lesson. Who doesnt want a beautiful residence? 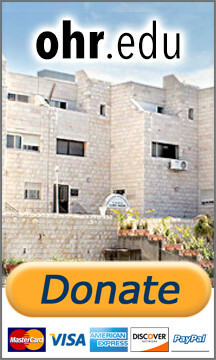 The Torahs description of such a dwelling is a house dedicated to fulfilling G-ds commandments. A home to invite guests to and introduce them to the indescribable grandeur of Shabbat and the Festivals. A place that is permeated with gemilut chasadim (kind deeds). That rings with the sound of Torah. Somewhere that serves as a magnet for those who want to taste and experience what it means to truly live the commandments. What Sukkot and the Succah are teaching us is that to build such a palace requires that we take a "time out" from the physical world so that we can remember where all our blessings really come from. We divest ourselves of some of our material trappings so that we can recognize just how close we really are to G-d. For the whole week of Sukkot we leave the creature comforts behind for the "Spartan wilds" of our Succah and we bask in the knowledge that G-d is watching over us. Why bother? So that when we finally return to our homes it will be with the knowledge that G-d watches over us there as well. What that means is that in the long run less really does become more!